You know how this is going to go. There will be water. There will be the most brilliant colors. There will be crunches and snaps. All contained in one bowl, on one plate, and in one menu selection. The salad. Once the ubiquitous starter to every meal. Now a veritable palate of opportunities to engage with fresh food during every course of the meal. A salad can be plain, as in said starter, composed of vibrant green lettuce, sweating cucumber slices, and a ruby red tomato tossed in here and there. A salad can be complex; an entree bursting with the purple of radishes, the orange of carrots, the yellow of a pepper. There is no limit to the number of ingredients in a salad. A salad with steak is carnivorous. A salad with beans is not. You can eat a salad filled with sweet and luscious fruits for breakfast. You can mix in yogurt or cream to create a dessert. You can even eat a “garbage” salad consisting of all the leftovers in your fridge. A salad is perhaps the most flexible food assembly available on the planet. And there’s more to a salad than the pleasing colors and fresh taste. A salad arrives holding your health in each and every bite. A salad can deliver a full spectrum of vitamins, minerals, and antioxidants in every serving; Vitamin A, Vitamin B, Vitamin C, calcium, zinc, and selenium, to name a few. The same salad can adapt to satiate your hunger for more of one healthy category than another, as directed by your cravings. A salad can also act as Mother Nature’s messenger, delivering nutrients appropriate to the changing seasons: more Vitamin C in the winter and Vitamin A in the summer. A salads health can morph and change to meet the evolving demands of our bodies each and every day: perhaps more folate for the pregnant women among us. A salad delivers more health in one bite than any other item on the menu. A salad is, quite possibly, natures perfect food. The Microbiome Solution is not your ordinary diet book. It’s more of an education in how our bodies work and how we can impact them to produce better health. 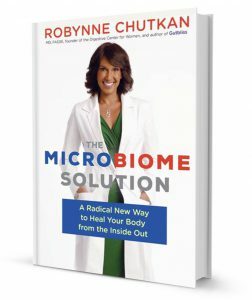 Health expert and author Dr. Robynne Chutkan honed the information she shares in the book through observation, trial and error in her practice as an integrative gastroenterologist and founder of the Digestive Center for Wellness in Maryland. Chutkan has made it her mission to help us understand how our body’s microbes influence the state of our health and the power we have to change them for the better. She is a member of the medical advisory board for The Dr. Oz Show and a regular guest covering digestive health. She was the host of the National Institutes of Health Clinical Roundtable Series and a medical consultant and on-air talent for Discovery Health Channel. Chutkan has also been featured on The Today Show, CBS This Morning,and The Doctors and is frequently interviewed as a medical expert for the Washington Post. In her book, Chutkan defines microbiome as “all the organisms that live in or on your body.” She’s talking about bacteria, viruses, fungus, and, yes, even worms. That’s a whopping one hundred trillion microbes which can be found in or on your body at any given time. Referring to it as “the zoo inside you,” Chutkan explains how this multitude of microbes work together to support bodily functions and the importance of keeping them healthy, happy, and properly balanced. She begins with how we attain our microbes and emphasizes getting back to nature. The most natural arrival is believed to be that which is imparted to us from our mothers, through the processes of natural childbirth and breast feeding. From there, we pick up microbes from the foods we eat and the environments we come into contact with throughout our lives. Our environment, in particular, plays a key role. It used to be that we picked up these health cohorts when we went out to play in the woods or garden in the yard. Now, children sit in front of monitors and a majority of us sit at desks all day. Chutkan stresses the importance of this contact with nature in keeping your microbiome healthy and diverse. While you can take a probiotic pill she says, it will not come close to providing the complete range of microbes that your body has worked to collect over the course of your lifetime. Chutkan goes on to explain how illness and obesity are quite possibly the result of an imbalance of good and bad bacteria in our microbiomes, known as dysbiosis. This imbalance allows the bad bacteria to take over, forcing good microbes and bacteria out and resulting in disease. Dysbiosis is the most common disorder Chutkan sees in her practice and she believes that it very well may be the underlying explanation for inflammatory bowel diseases such as Crohn’s and ulcerative colitis. 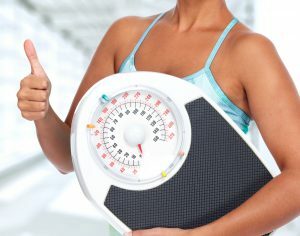 She is also convinced that dysbiosis could provide an explanation as to why so many people have trouble losing weight. Adamant about her theory, Chutkan even went so far as to conduct a nutritional study among twelve of her patients as a means of addressing their Crohn’s disease and ulcerative colitis symptoms, and it worked! Her study found that dietary changes restored balance to her patients’ microbiomes and significantly relieved their symptoms. Addressing dysbiosis could well be the most simple and profound treatment for a variety of medical conditions. So how do we regain this delicate microbiome balance? Chutkan’s “Live Dirty, Eat Clean” plan recommends two basic tenets: first we need to “re-wild,” meaning that we need to restock the good bacteria lost to years of neglect and sanitation. Re-wilding is easily attained by stopping the bad behavior that’s killing off your bacteria and throwing your microbiome out of whack. Stop medicating your bacteria, stop scrubbing your skin every time you come in contact with an unfamiliar environment, and get outside more often. 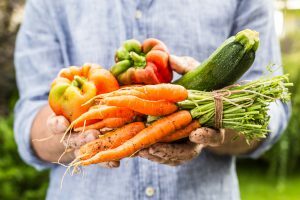 By stopping the behaviors that kill microbes, your body will be better able to regain what was lost and foster the growth and strength of the good microbes you need for optimal health. Second, we need to feed our bacterial friends the foods that will keep them in balance, so they are able to support our health. Start eating prebiotics, foods that feed your good bacteria and encourage them to do their jobs, and stop eating junk. These two simple steps can restore harmony to your microbiome, therefore restoring overall health. The Microbiome Solution is an insightful, well-written and easily absorbed book that provides the education and tools to influence your health for the entirety of your life. I strongly encourage anyone interested in better health and living well to indulge in this educational insight in lieu of trendy diets that vilify, restrict, and berate food and lifestyle choices. Pam Salvadore of La Quinta is a nutrition journalist. For more information from Pam visit her blog pamsalvadore.wordpress.com The Microbiome Solution is available at national book retailers and online. For more information visit Chutkan’s website, www.gutbliss.com. Click here to read this article in Desert Health. As we wake to another bright and sunny desert morning, a sense of calm has settled over the valley as it is finally 2017, a new year that brings the promise and hope of things to come. As 2016 came to a close, the online world had much say in the usual “Year in Review” commentary. If you looked online, the world was coming to an end. Politics destroyed us and violence abounded. Despite what the great feedback loop in the cloud (AKA social media) portrayed as a world gone mad, I had a lot to be thankful for in 2016. Sure, we suffered the loss of legends David Bowie, Prince, Leonard Cohen, John Glenn, Gene Wilder, and the great Arnold Palmer, to name a few. However, as with all great losses, we will carry a piece of these pioneers forward in our hearts so we can pass their joy along to future generations. And, yes, there were many who proclaimed the 2016 presidential election as the most contentious of all time. However, that contention opened the eyes of a great many voters and got them involved in the process as never before. As a people, we reinvested in the governance of our nation which serves us well moving forward. A visit to the real world (i.e., talking to live human beings) further exposed great things that happened in 2016. A casual poll among friends came up with all kinds of good things to remember the year by: The Cubs finally won a World Series. The Coachella Valley provided the backdrop for two historic weeks of Desert Trip. A shy folk singer won the Nobel Peace Prize for communicating the thoughts of generations through his songs. Medical studies advanced our knowledge of the inner workings of the brain, opening the door for possible cures to many diseases. We fought for human rights – here at home and around the world. The Rolling Stones played a free concert in Cuba! These events made history in their own right…good history. As we look forward to the New Year, let’s take a collective deep breath. Ask yourself how you want to remember 2017 at this time next year. What amazing things will we accomplish both privately and collectively in the New Year? Let’s set our intention to create more good and to reject the bad. Let’s consider the perspective with which we view others. Let’s listen to others and really hear what they have to say. Let’s come together as a whole and show the world what we stand for, both as an individual and as a nation. Let’s advance progress in fighting disease and share that knowledge with all who are ill. In the end, these intentions will restore our faith in each other and give the Internet only good things to say. Each of us is inherently a good person. We need to let this goodness shine through and eliminate the nastiness. Goodbye, 2016. It’s been real, and we are all moving on. Time To Diet: The ups and downs of finding the right fit. A diet that doesn’t fit your lifestyle can lead to less-than-desirable results. So, I found myself faced with the harsh reality that it was time to go on a diet. Having been down the diet road before, I was not looking forward to tracking calories, exercising when I didn’t want to, and giving up my favorite foods and beverages. Subsequently, I set out to audition different diets in hopes of finding a more satisfying, yet effective, option. The four diets I explored were either new twists on old science, radical elimination set-ups, or back-to-basics calories in/calories out plans. First, I tried the Paleo (or “caveman”) diet. I ate pasture-raised meats, vegetables, seafood, eggs, drank bone broth, and dabbled in fermented foods (kimchi). Grains, legumes, added sugars, and dairy were strictly prohibited. On the plus side, the Paleo diet handed me a great foundation for a healthy, sustainable diet that eliminated all processed foods. The downside was that cavemen didn’t drink alcohol, and they didn’t need to shop at the local supermarket. I found the Paleo diet to be inconvenient in that I had to buy different foods for myself, while maintaining our original fare for my husband. I also missed my glass of pinot in the evening and found that I really don’t like coconut milk enough to put it in my tea. Discouragingly, at the end of my two-week Paleo audition, I’d actually gained weight! Next I tried the Atkins diet, the infamous plan in which you eat meat and fat, but decrease your intake of carbs to less than 20 grams per day. I figured this would be easier to manipulate, as I could eat the meat and fat portion of whatever I served my husband and simply steer clear of the carbs. While eating an unlimited amount of meat was a plus to me, the downside of Atkins was that in cutting carbs, I ended up cutting out one of my favorites: fruit. After two weeks on Atkins, I felt incredibly deprived and, for this reason, found it was not a sustainable diet for me. (The scientist in me also noted the resulting nutrient imbalance from eliminating that rainbow of carb-rich fruits.) While I didn’t gain weight auditioning the Atkins diet, I did find myself constantly obsessing over what I would eat at my next meal. The fact that food was always on my mind told me that too much of it was missing from my plate. At this point I decided to loosen things up and simply downloaded a free caloriecounting app. I chose the Fat Secret app for its massive database of nutritional information and endless choices of foods. Unfortunately, the plus of unlimited choices turned out to be my downfall. Fat Secret was a little too permissive. Additionally, I was the one calculating how many calories I should eat in a day. That becomes a nebulous number when faced with dessert at the end of a conservative meal. Needless to say, I gained weight as well in my trial period using this unrestricted model. While I had no interest in the monotony of being on a diet, I knew that Weight Watchers (WW) had worked for me in the past. I decided to see if it would work with my presently reduced metabolism. The upside of WW was that I could eat anything I wanted as long as it fit into my daily allotment of points. This allowed for a piece of chocolate after lunch and a glass of wine before dinner. WW also gave me weekly bonus points that I could use for special occasions or an evening out. I found that WW steered me toward making healthy choices, as fruits and vegetables are free, meaning I could eat them all day if I wanted to. WW also encouraged activity by rewarding it with activity points. On average, I earned 3 activity points for every 30 minutes of light exercise. I found it motivating to know that I was earning something. The downside I found with the WW program was that it required an electronic tether. I needed to access the website every time I put something in my mouth, which took the spontaneity out of eating. Then again, that spontaneity is what added the twenty pounds in the first place! WW was the only diet I tried and actually lost weight. Overall, I found WW to be better suited to my personality and lifestyle because it provided a realistic environment that directed me toward a healthy, balanced diet. It allowed for splurges and rewarded effort. While I once thought that I had ceded all dietary control to my menopausal hormones, WW gave me back that control. 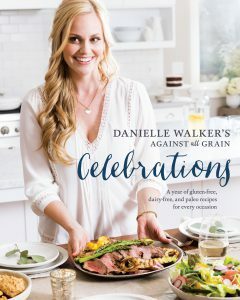 In the end, I found that each diet has its own unique criteria that speak to different people for different reasons. I’m going to continue with my WW plan. If you find yourself in a similar position, don’t give in to the hormonal shifts in your body. Take the time to consider if you should address these hormonal changes with dietary changes of your own and find a diet that works for you.